but the special club within the clubhouse. 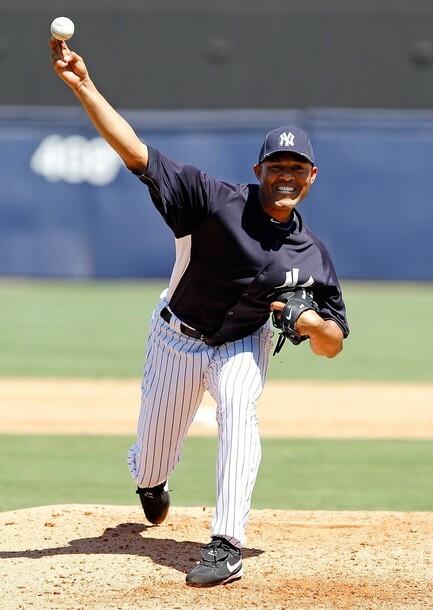 The charter member Mariano Rivera had beseeched a visiting Pettitte to shed his retirement shackles, even though the Yankees had no pressing need of another starting pitcher. 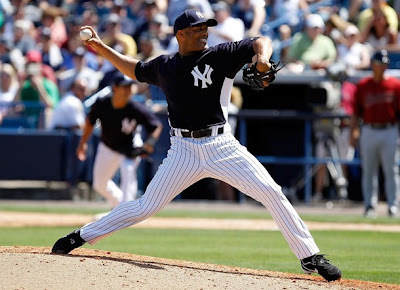 But there is always room for a core Yankee, Rivera believed, one who understands the mania of why the Yankees must win, this season and every season. The famous core had dwindled to two — Rivera and Derek Jeter — after peaking in celebrity prominence at four; then Pettitte left before the 2011 season and Jorge Posada retired after it. Posada exited in tears, but at least he formally acknowledged his departure while declining to look to play elsewhere. Cut from the 1990s core mold, Bernie Williams could never admit he was finished after the Yankees removed him from center field before the 2007 season. In the roaring mid-to-late ’90s, when the Yankees won four World Series in five years, the organization lifers were joined by a variety of outsiders — Paul O’Neill, Tino Martinez, Scott Brosius — who weren’t quite made men at Yankee Stadium but who knew the secret core handshake. “A lot of people are considered real, true Yankees but didn’t come up in the organization,” Jeter said. “I don’t think it’s a requirement that you do. When they talked about us as the Core Four and put us on the cover of Sports Illustrated, they did it because we’d been here so long and all of us came up together. Yet there appears to be no process in place for core expansion or succession. Beginning his ninth Yankees season, Alex Rodriguez has modified his once-isolationist persona but carries too much baggage. Curtis Granderson provides a thoughtful bearing along with his home run bat, and C. C. Sabathia a gregarious nature to enhance his towering mound presence. But Rivera, unlike Jeter, was insistent that full-blown membership be a matter of pinstriped bloodlines. But here lies the problem with the homegrown requirement — it leaves precious few candidates in an organization that continues to use its resources to wheel and deal. Jeter aside, only Robinson Cano and Brett Gardner are starters from the Yankees’ system. Of the starting pitchers, there are Ivan Nova and Phil Hughes, who could be affected by the return of Pettitte. Rivera said he had spoken with Cano, an established All-Star and mainstay of the 2009 championship team, about carrying on the core, and Cano said he was flattered when newcomers now seek him out for organizational advice.